NOTE: The following interview appeared last week on FanFilmFactor.com and is being reprinted here to expand its audience. The new campaign was announced on January 18 during the first episode of what ALEC PETERS intends to be a regular YouTube livestream broadcast called REEL TREK, produced by Ares Studios to discuss all things Star Treklive with fan viewers. During the broadcast, fans donated about $120 as they posted their comments, but that was just the beginning. Toward the end of the program, Alec announced the new Patreon to about 200 live viewers, and a few folks started signing up to the campaign. JONATHAN – Okay, Alec, let’s cut right to the chase. 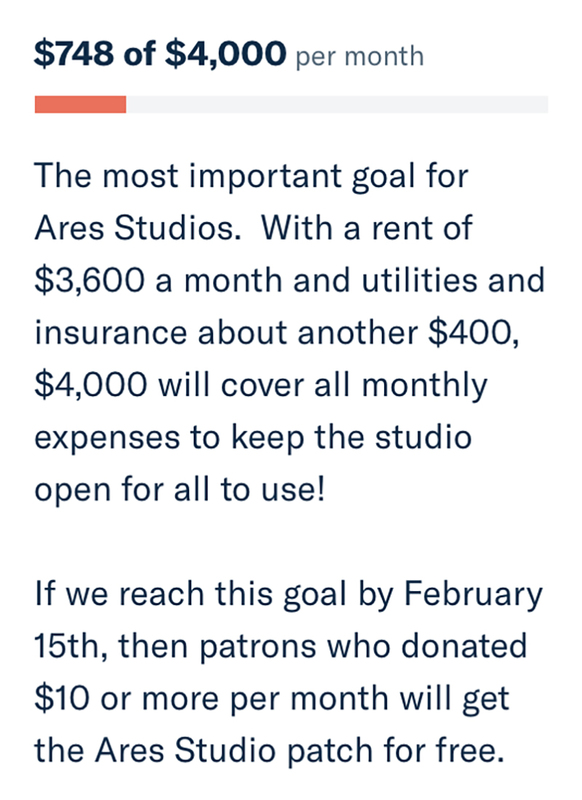 You just launched a Patreon to pay the rent on Ares Studios in Lawrenceville, GA. Isn’t that crowd-funding? ALEC – Yes, it is. JONATHAN – And doesn’t your legal settlement with CBS and Paramount forbid you from crowd-funding the two remaining Axanar fan films? 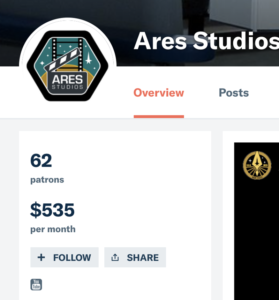 ALEC – I’m not crowd-funding AXANAR; I’m crowd-funding ARES STUDIOS. Those are two VERY different things…and they are completely separate corporate entities. JONATHAN – I’m not sure I follow. Isn’t that beautiful bridge set currently sitting in the middle of Ares Studio? And isn’t it going to be used for Axanar? 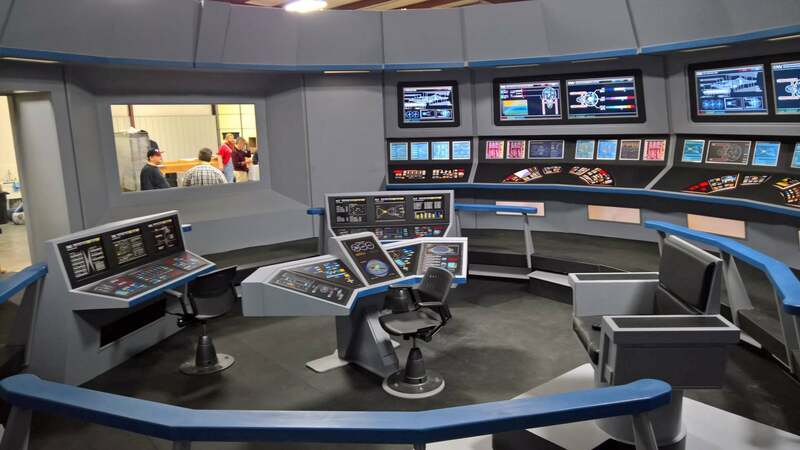 First, the Axanar films are going to be shot at a studio in Los Angeles with a green screen and another studio in Atlanta that also will have a green screen. If we do shoot at all on the bridge for the two 15-minute films, it will be for some flashback scenes. JONATHAN – But how are you keeping Ares Studios and the Axanar films separate? Won’t CBS and Paramount just see them as one and the same thing? ALEC – I’ve created a totally separate legal business entity for the studio. That’s where the Patreon money will go to. The fan film, on the other hand, will be made by Axanar Productions. 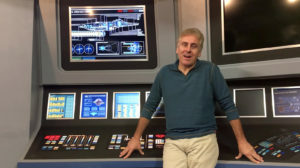 Once the Axanar films are completed, Axanar Productions will go on to make other independent sci-fi films. But the settlement only applies to Axanar, and once that fan film is done, it’s done. The studio itself, on the other hand, doesn’t end once Axanar is completed. 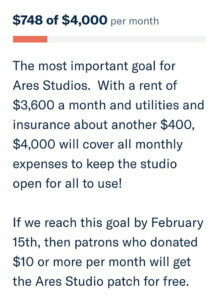 Ares Studios will continue to be offered as a filming location to other productions, including Star Trek and other sci-fi fan films, commercial and independent film producers, and we’re also working with the Gwinnett County High Schools in support of their Academy Program, allowing video production students to work in the studio and film on our sets. JONATHAN – Earlier this week, Carlos Pedraza reported (in a 1,500-plus word blog, no less!) that the warehouse space that you’re currently trying to raise money to fund has been listed by your landlord as available for lease at $4,250/month. Are you being kicked out? Is this Patreon a desperate “Hail Mary” pass? ALEC – Hardly. The space has been listed by the landlord for months because we optioned a smaller space in a new building that’s being completed by the landlord literally next door. If we don’t bring in enough to fund the $4K/month in rent and utilities to stay in the same location, we have first dibs on the new building at a cost about half of what I’m paying now out of pocket. Already, the Patreon, PayPal, and YouTube revenue on our new channel is bringing in about half of what the new space would cost….and it hasn’t even been a week yet. JONATHAN – So what happens if you raise enough to cover the costs for the current building? ALEC – Then we stay put. I’d rather be in the larger space, of course. But I simply can’t afford to keep spending $50K per year out of my own pocket. If the fan community can help us pay for our current location, that’s great! But I needed a Plan B so we’re not stuck with no studio at all. So I spoke to the landlord about taking one of the smaller spaces once the new building is completed. If that happens, we just roll the bridge out of the old building, across the street, and into the new one. JONATHAN – The Patreon lists February 15 as a deadline. Is that when you’ll make the decision whether to move? ALEC – No, February 15 is just an incentive date for supporters to aim for in order to get a special patch. Actually, I’ve already built in some extra time, even though we’re off to a great start. If we don’t get to $4,000 a month by May, or we are not close, then we will move to the smaller location. JONATHAN – Okay, let me ask you about changing the name of the studio to Ares. Weren’t you sponsored last year by OWC Digital? What happened to end that relationship? ALEC – I can’t thank OWC enough for all that they’ve done for us. They gave us free equipment, they were one of our biggest cheerleaders, and they helped us afford to pay rent for a year, which allowed me to focus my own money and efforts into getting the bridge set completed, and putting on Axacon. And I’ll explain in a moment why that’s so important. But the sponsorship contract was only for one year at a time (which isn’t unusual for a corporate sponsor). During that time, the OWC marketing director, who was a big fan and supporter of Axanar, left the company. I approached the new marketing director to ask if they wanted to renew their sponsorship for another year, and he declined…politely. It just wasn’t something he wanted to pursue, and I didn’t push him. We got a lot of help from OWC when it was most important, and I’ll always appreciate that. 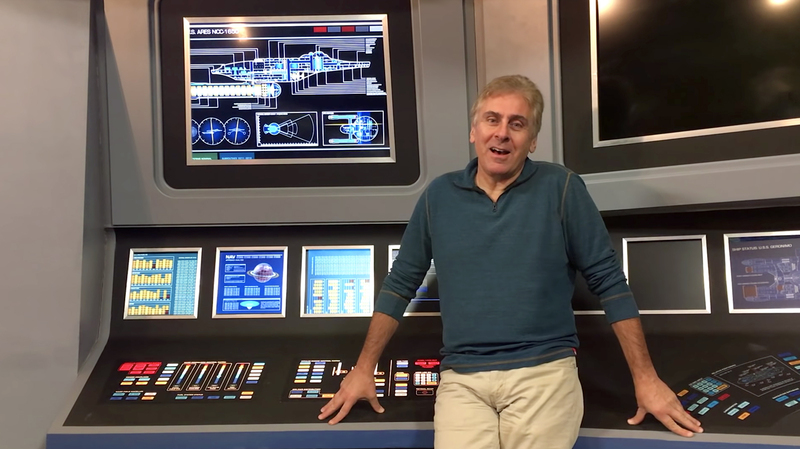 JONATHAN – So why was it so important to get the bridge set completed if you might not even be using it (or only using it in a very minor way) in the final fan films? ALEC – It wasn’t just completing the bridge set that was important; it was being able to hold Axacon. There was a long-term plan in place, even if most people didn’t know there was. JONATHAN – I certainly didn’t know there was a plan! So what was the plan? ALEC – Have you wondered why we haven’t started filming Axanar yet? JONATHAN – I think there are tens of thousands of people who are wondering THAT, Alec! You are so coming back tomorrow for the answer, right? 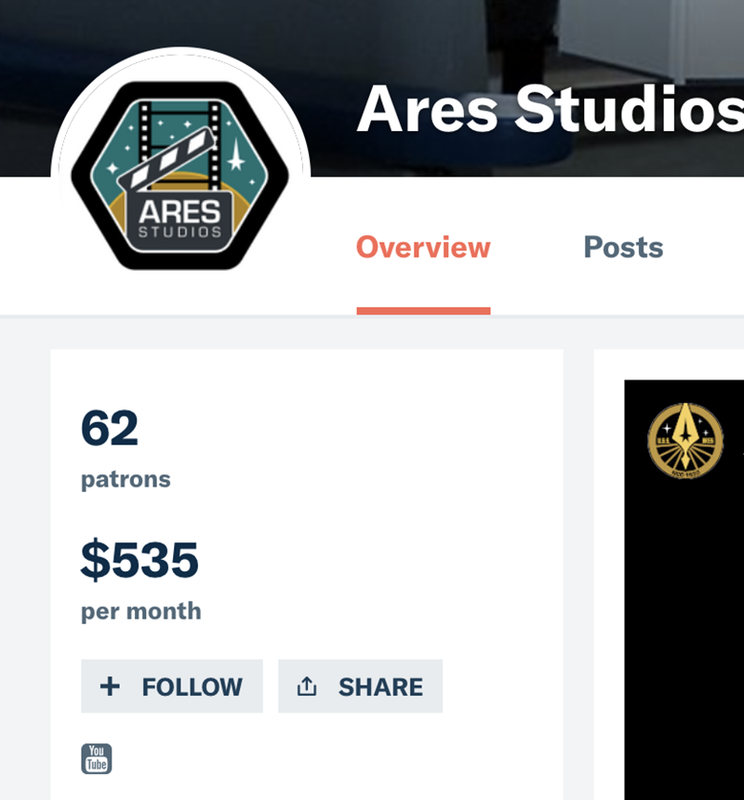 In the meantime, click here to visit the Ares Studios Patreon. It’s great to see Star Trek is alive and well despite the forces of corporate greed and ignorance, perhaps they might learn though after 53 years of struggling to understand Star Trek and science fiction, I doubt it. I’ve been a fan since the beginning when I first saw the previews of TOS when I was 16, I was amazed by it having waited for something truly serious and creative all my short life up to then, and I never lost the dream of wondering. I wish to donate on a regular basis to help keep this going and plan to do so shortly, it’s incredible the hundreds of millions spent to make crap and this wonderful production has to struggle along, your bridge set is inspiring and as soon as I get my ducks or starships in a row I plan to help. Thanks to all who have worked to keep this story and dream alive, end of transmission.